Have you ever wondered what it’s like to be conductor? In this atelier Florian Helgath will show some tips and tricks from the conducting side which can help to improve your singing and phrasing during choir performances! Florian Helgath has been Artistic Director of the ChorWerk Ruhr since 2011. Within the past years he presented choir music of various periods on the highest level both in a cappella and with orchestras. From 2017/18 he will be Artistic Director of the Zürcher Sing-Akademie. 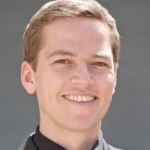 Florian Helgath has held the position as conductor of the Danish National Choir from 2009 to 2015 and was Artistic Director of the Via Nova Chor Munich from 2008 to 2016 and has conducted numerous highly acclaimed first performances.